‘Aio’ aims to offer an all-in-one gaming PC which will have a sleek, design orientated aesthetic, as well as great performance. It will appeal to a much wider segment of the gamer market, many of whom are dissatisfied with their current hardware options. 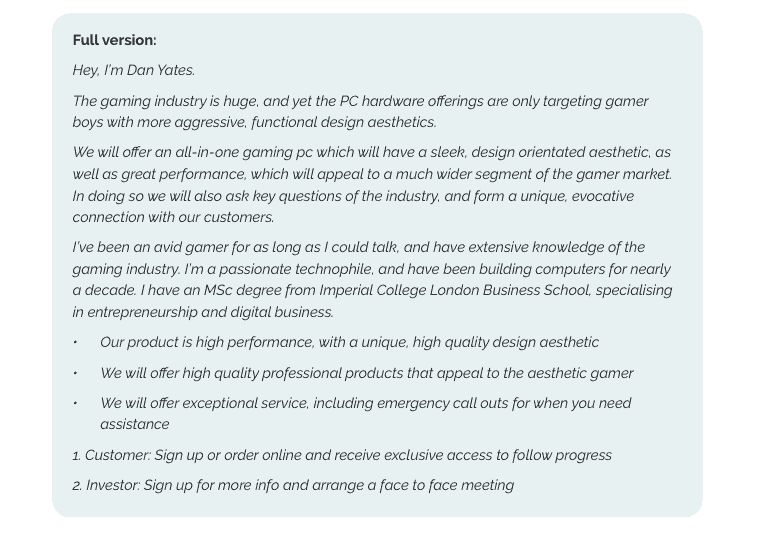 Dan the founder approached me for his brand and design work, and as I have experience in online gaming in the past and understood the market, we hit it of straight away. And in addition to his logo and website, I worked with him to come up with the ‘Aio’ name, a brand strategy and initial brand imagery. We spent a half day conducting a roadmapping workshop together to outline his requirements and agreed that our Brand and Website design package would suit his needs for the launch of his startup. After the roadmapping session it revealed the need to change the existing company name (Black and White) to a more relevant brand name. His budget was tight to agree to a brand naming workshop so I offered my guidance input and he came back with a shortlist of names. We eventually came up with a strong brand name that fitted well – and was available to purchase as a domain name and aio.world was born. 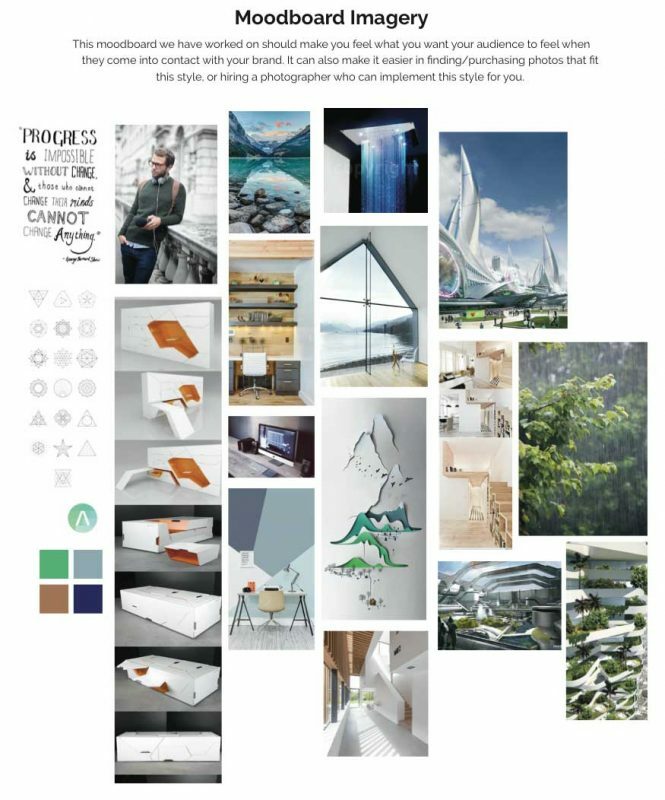 From the Pinterest mood board that Dan created as part of the brand worksheets he completed, I compiled a brand inspiration board, gathering images and pairing colours to create a “feel” and an aesthetic to work from throughout the entire project. Dan did a great job pulling images together in a secret Pinterest board, and the colour palette of the photos and design inspirations aligned with his brand messaging and goals. As part of the brand worksheet, we get clients to think about their brand content. As an overview description, we use a great tool to help new clients clarify this into a short sales script or pitch. The elevator pitch or 60 second pitch is a short summary to briefly explain yourself, your business, your goals and your passions. It tells others what you do, who you help, and how you help them. This can also help in setting a tone of voice for how you write your website content. 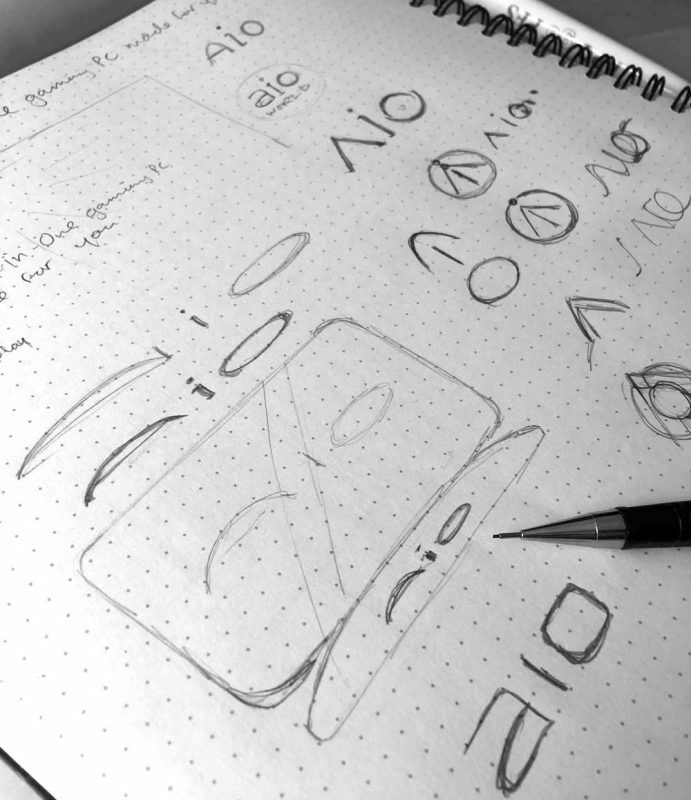 You can see how the inspiration board help focus ideas within my sketches; I drafted up a number of variations that focused on simplicity and soft curves. I then hand-drew three of the chosen versions and imported them into Adobe Illustrator to prepare for the logo design presentation. Once Dan was happy with the Aio logo, I set up final brand guidelines that included primary and alternate logo options, minimum sizes, icons, colour palletes, patterns, typography/font use and an image style to bring the brand to life. This brand document becomes a useful tool in creating additional marketing materials, including the new AIo website, business cards and a branded pitch deck ready to add his content to show to potential partners and investors. 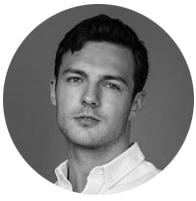 Dan now has a strong brand that fits his target market, along with a beautiful promotional website and set of branded marketing materials that is helping him to gain attention and promote Aio. “As a start-up founder, a lot of my biggest concerns relate to not getting good value for money invested. I was afraid that the end result of working with an agency might not be at the standard I wanted, and could end up being a poor use of money. Andy is a passionate, attentive professional. He really worked to understand exactly what I wanted and was completely upfront and honest. The images above don’t quite do it justice. Click here to visit the new website for Aio. Dan is a great client and I’m honoured that he trusted me to help visualise his new startup brand and website.